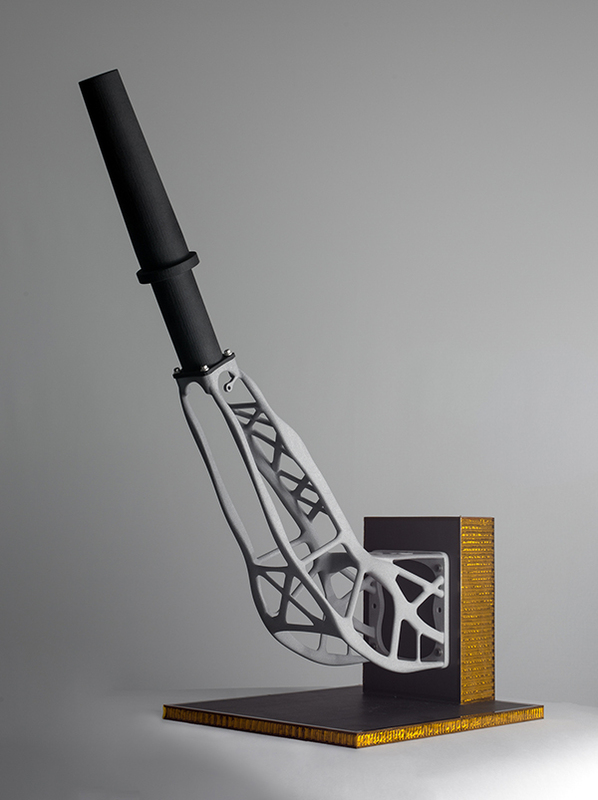 Altair announced today that RUAG Space, with the support of Altair ProductDesign, has built a redesigned, optimized antenna support for an Earth observation satellite, to be produced using industrial additive manufacturing, or 3D printing. The objective was to create an aluminum component that would be significantly stiffer while at the same time lighter, taking full advantage of the design freedom afforded by 3D printing. "Our goal is to equip one of the future Sentinel-1 satellites with antenna support components that have been manufactured using an industrial 3D printer," explained Michael Pavloff, Chief Technical Officer at RUAG Space. He went on to add that the production of this antenna support was by no means a one-off. “3D printing has enormous potential for our business, and we are currently in the process of developing further space applications. In the future it will be possible to create entire satellite structures using a 3D printer. This means that electrical harnesses, reflectors, heating pipes, and other assemblies that today still have to be manufactured individually could then be integrated directly into the structural elements," Pavloff concludes. "At Altair we were delighted to contribute to such a significant milestone in satellite design. The collaboration with RUAG Space and EOS allowed us to deliver even more innovative end-to-end design and optimization processes to exploit the benefits of additive manufacturing,” said Pietro Cervellera, Managing Director Altair GmbH.